Some posts via Chinese sites Baidu and Taobao*have revealed a new interesting official item for Chinese market: A Sword for Power Of The Primes Predaking. This looks like a very nice accessory, made in orange, black and yellow which really matches POTP Predaking‘s colors. From the information shared, we can see that this sword would be available on*“Singles’ Day” this upcoming November 11th in China. Singles’ Day is like Black Friday in China, where a lot of deals and discounts can be had. But there’s something important to consider if you are interested on this sword. It*only comes &#187; Continue Reading. 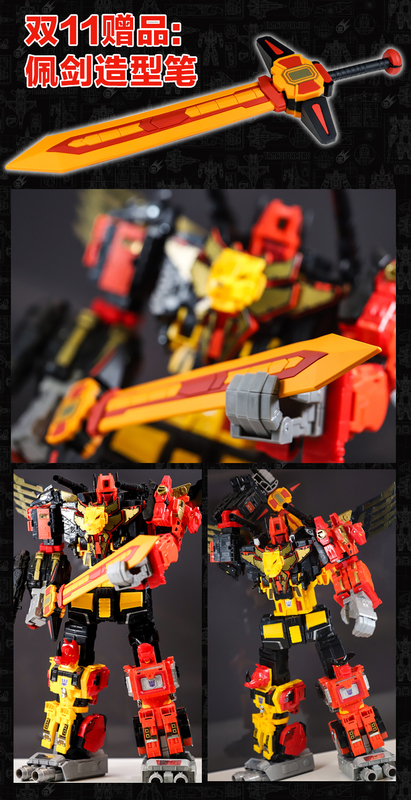 The post Hasbro China Sword for Power Of The Primes Predaking appeared first on Transformer World 2005 - TFW2005.COM.